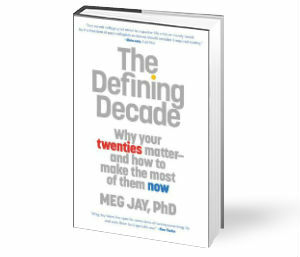 The Defining Decade: Why Your Twenties Matter - And How to Make the most of Them Now by Meg Jay / Self Help / Goodreads. I am a fan of a good self help book, not going to lie. However I feel like this book is great for most twenty somethings, especially those going through a quarter life crisis. I believe this book is targeted towards more late twenty somethings and honestly I think it will be one that I will read again before I turn thirty! This is a very motivating book in some aspects and it others parts can make you feel like you don't have your life together at all. Meg Jay is a clinical psychologist who has plenty of experience with young adults. Meg stresses that thirty is not the new twenty, which is something people often realise too late. This book talks about not putting off starting your life because you are only in your twenties. Meg is pretty on point when it comes to some of the main issues that twenty somethings feel at some point and how overwhelming it can be. She has themes throughout the book that address topics like work, relationships and figuring out what you want to do with your life! She uses examples from history, along with previous clients. You hear some small changes truly did change her clients lives or how a small change could have prevent misery. I found it motivating hearing about previous clients who were similar to me or opposite hearing how their life changed after taking on board some of Meg's advice or guidance. You get hear how more of an end story for these people and can imagine the differences some small changes could make. 6. Now is the time to gain identity Capital! Would love to give this a read!